International legal practice Osborne Clarke, which has a large office in Bristol, has selected food poverty charity FareShare South West as its local partner. Bristol-based FareShare South West’s mission is to fight food poverty while providing a solution to food waste. It works with businesses to take in-date, good quality, surplus food from the food chain and redistribute to charities and organisations across the South West, who then turn it into meals for the most vulnerable within the region. 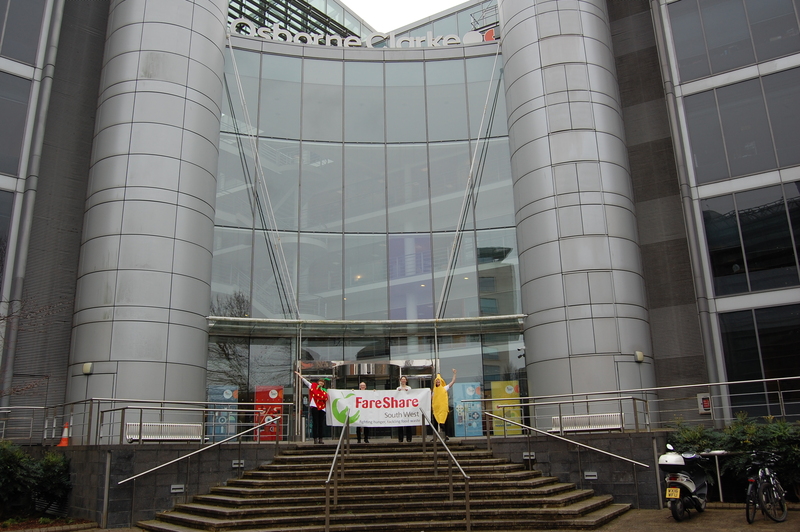 Osborne Clarke, which supports four different charities across the year, aims to raise thousands of pounds for FareShare South West with a full and varied three-month programme of initiatives. Fundraising activities lined up include: a ‘ready, steady, cook’ competition with a local chef and senior partners judging, while a number of employees have signed up to run the Bristol 10K with partners promising to pay entry fees. “The final event will be a surplus food banquet where the entire team can celebrate our success together,” added Mr John. FareShare South West is the South West’s largest food redistribution charity and part of the national charity FareShare. It saves nearly 350 tonnes of good surplus food each year from across the food supply chain and redistributes it to nearly 170 schools, charities and community groups across the region. These charities provide meals as part of their services to people in need – such as children’s breakfast clubs, day clubs for older people, domestic violence refuges, homeless shelters and drug and alcohol rehab units. In 2017/18 it provided enough food for more than 830,000 meals. FareShare South West CEO Julian Mines said: “Working with an organisation like Osborne Clarke is a real privilege. We’re delighted that they are passionate about the issues of food poverty and food waste that persist within our region. “Along with some exciting activities, we’ve also established ways to allow members of Osborne Clarke to donate easily to us, such as a contactless donation point in their café.